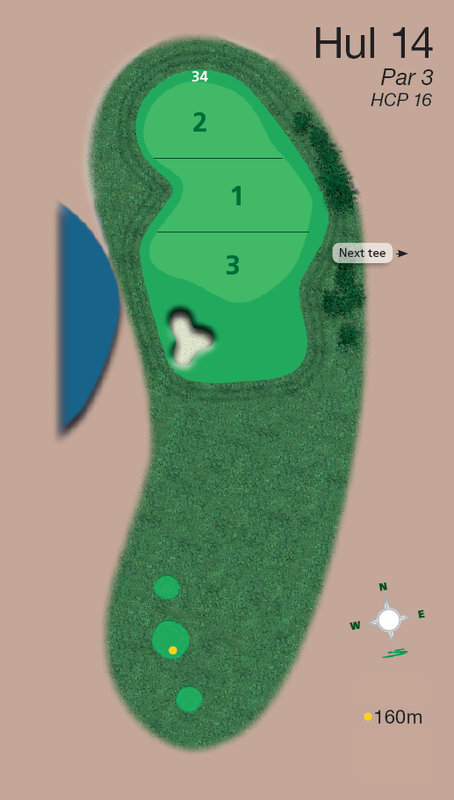 A relatively short par 4. Play conservatively off the tee, hitting the fairway is more important than distance. Long hitters can try to carry the water running across the fairway. Alternatively, play safe, lay up short of the stream. 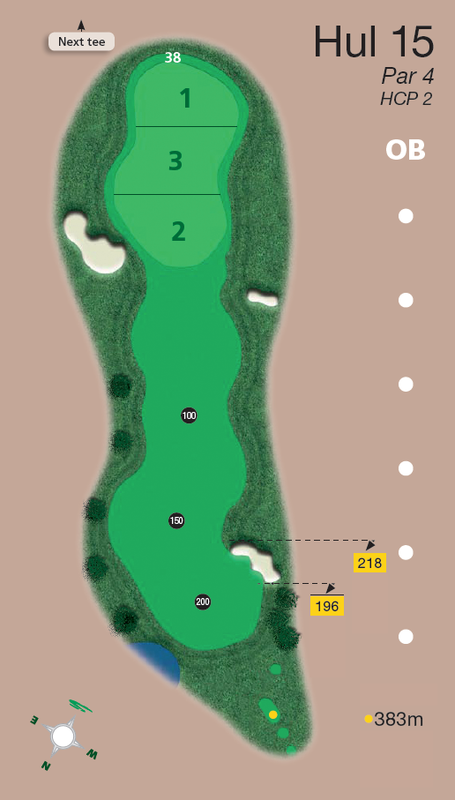 Once again club selection is important,to this long narrow green. 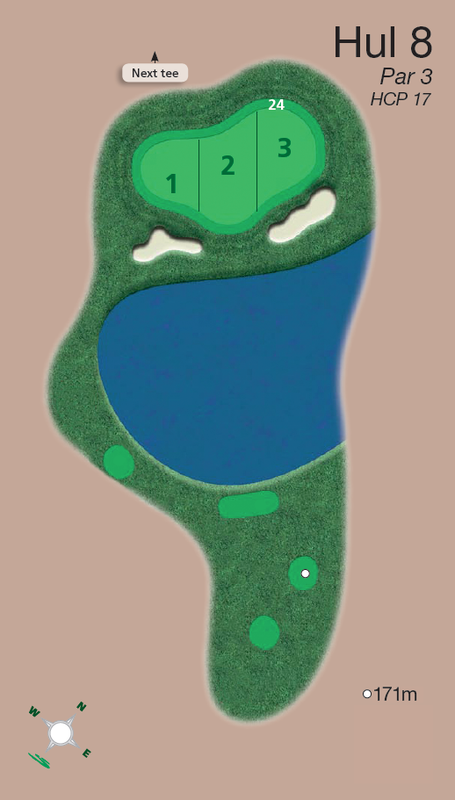 This par 3 is the one hole on the course without bunkers which is a trait of many of the world’s top courses. 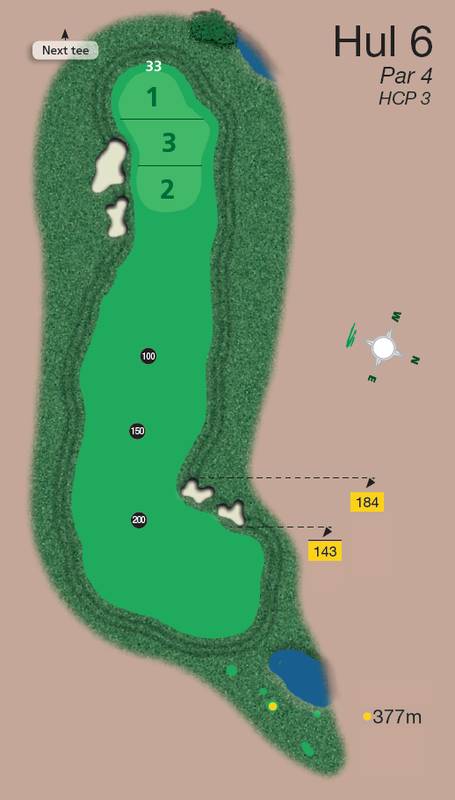 This hole usually plays into the wind, better to be long than short, as the approach slopes away from the green. 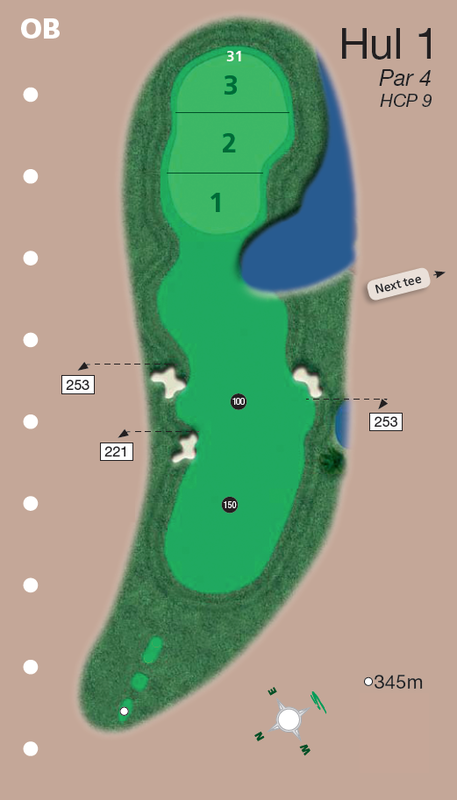 Short Par 4, place your tee shot short of the fairway bunkers near the 100 metre mark leaving a short iron into the long narrow green. Tricky par 3, which usually plays into the wind. The green slopes towards the water on the right, so favour the left side of the green. 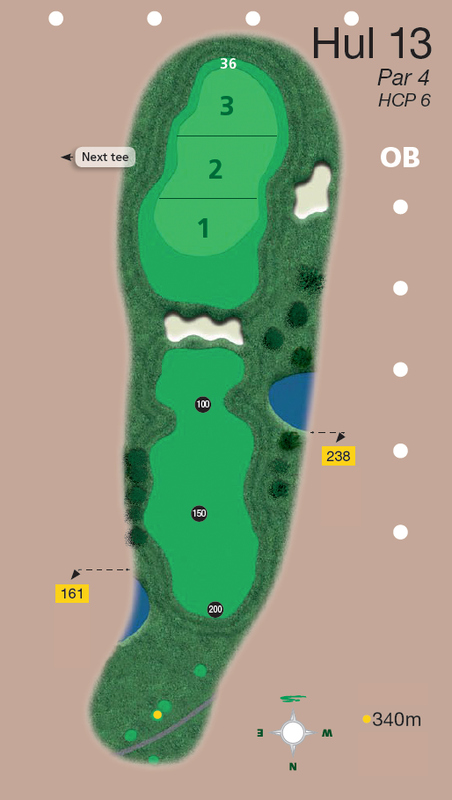 You should always be happy with a par on this hole. Sharp dog leg right, keep left of the large fairway bunkers. 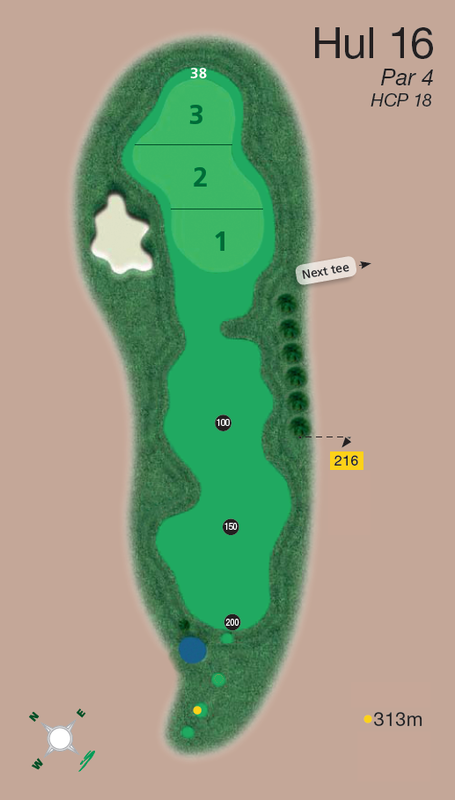 Your second shot plays down hill, favour the right side of the green this will present the easiest chip or putt. 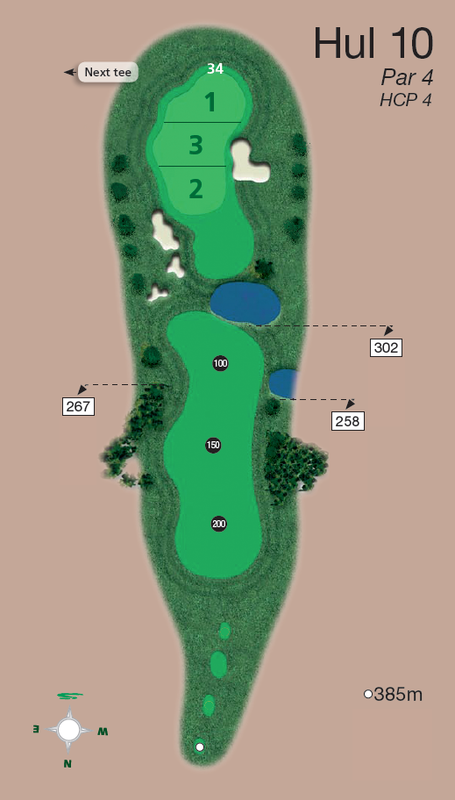 A testing par 5, there are 12 bunkers on this hole, so course management is essential. It is preferable to take the cautious option. 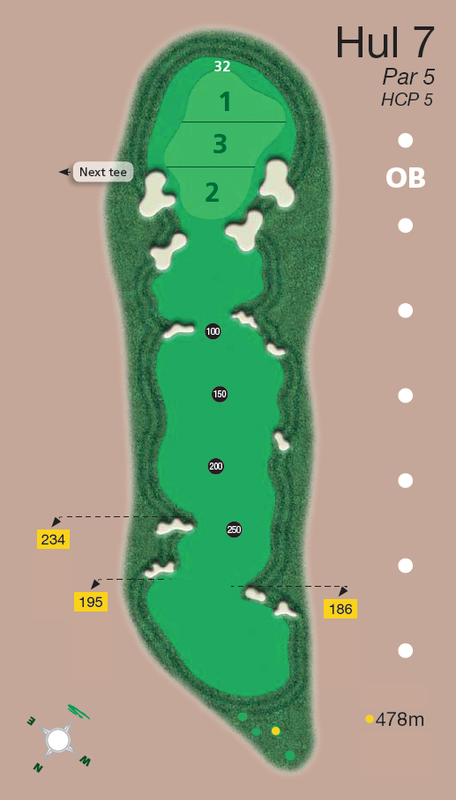 The green is well guarded and is constructed in two tiers, so be sure to take note where the pin is positioned. A wide but narrow green from front to back, again this hole normally plays into the wind and can often play up to 3 clubs longer. Better to be long than short to avoid the deep bunkers at the front of the green. 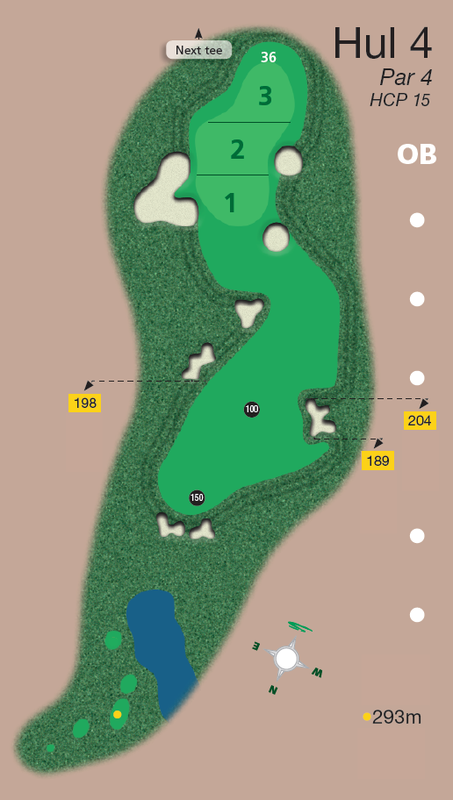 You should favour the right hand side of the fairway on this dog leg left to get the best view of the green. Aim for the middle of the green for the best putting options. 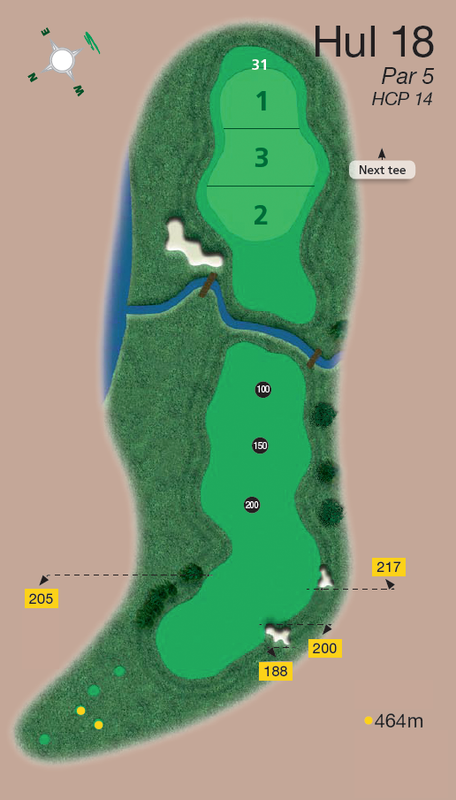 Your drive plays down hill on this par 4, aim at the tree over the lake. 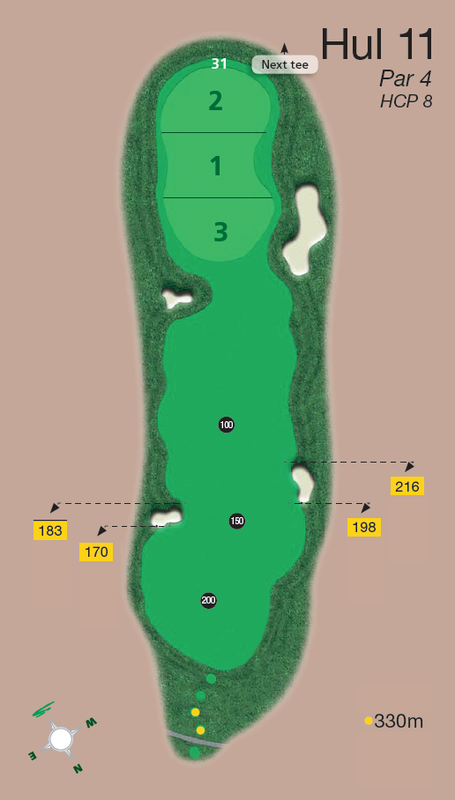 The green on this hole has many subtle breaks so read your putt carefully. Slight dog leg left, favour the right hand side of the fairway as the left hand bunker is very deep, this will give you the best line into the green. 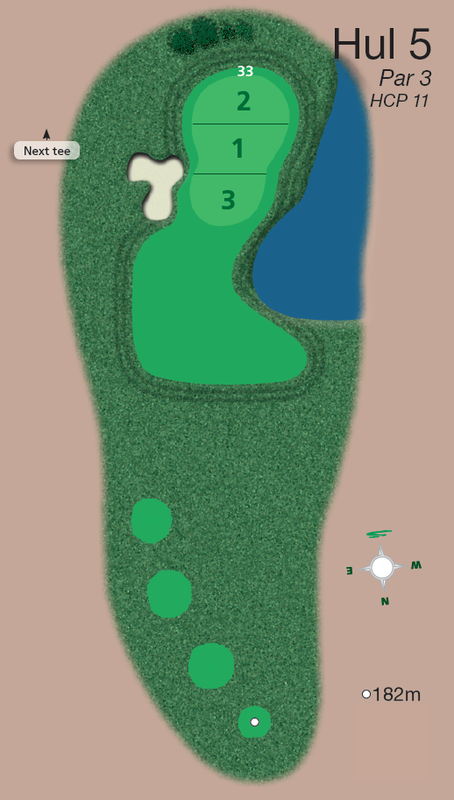 Easy par 5 if played sensibly. Study the course guide thoroughly as there are plenty of hazards which need to be avoided. Tee shot short of the right hand bunker is the best option for most players. Approach must not be long as there is trouble over the green. Be careful of the two lakes which are not visible from the tee. Approach shot deceptive as it is further from the fairway bunkers to the green than it first appears. 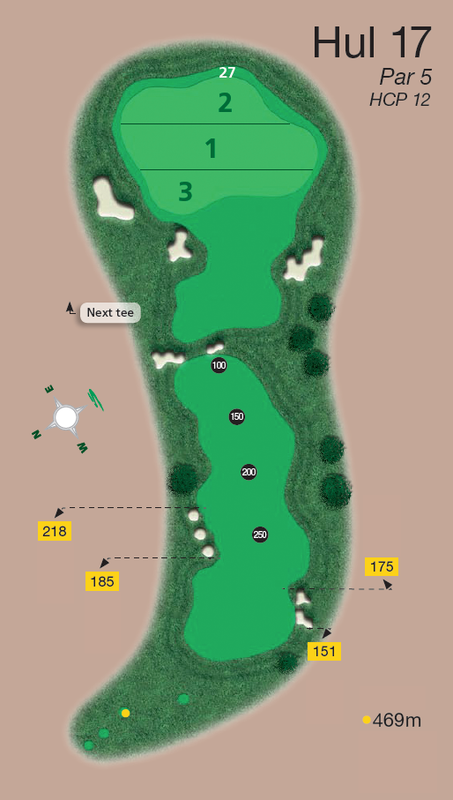 Favour the left hand side of the green as this leaves the easiest chip shot or uphill putt. 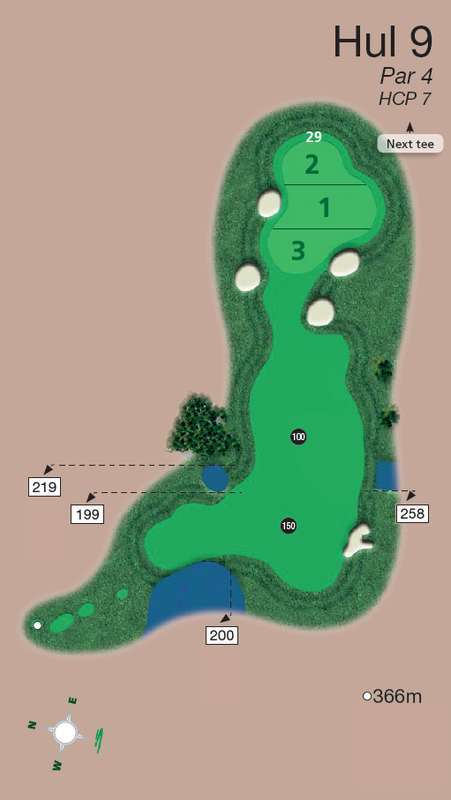 A difficult par 3 with a two tiered green where you must not miss the green left. Safe option is short right which again leaves an uphill chip or putt. The landing area slopes left to right towards the fairway bunker, so favour the left hand side off the tee. The green is long and slopes towards the lake on the right. 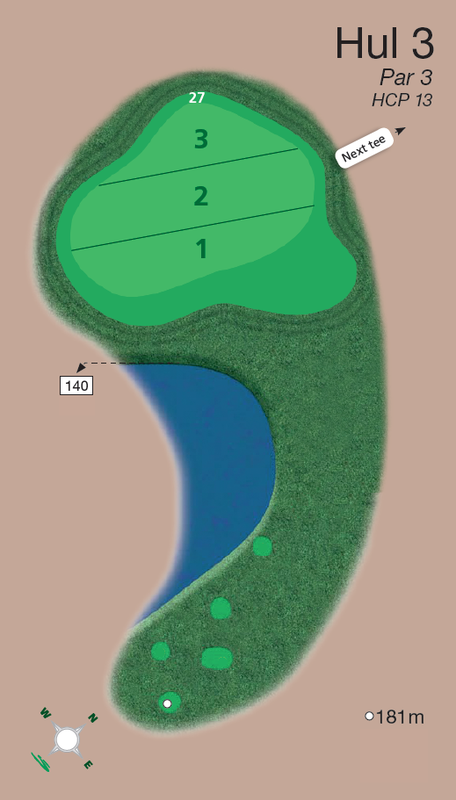 Short par 4 with a tricky green. Keep your drive down the right hand side of the fairway this gives a better line into the green. A pin positioned on the left hand side should not be attacked. Par 5 where the fairway slopes from right to left. The three deep bunkers on the left must be avoided. Laying up short of the fairway bunkers 100 meters from the green is the sensible option and normally brings the best results. It is an uphill approach to the green which plays longer than you think. 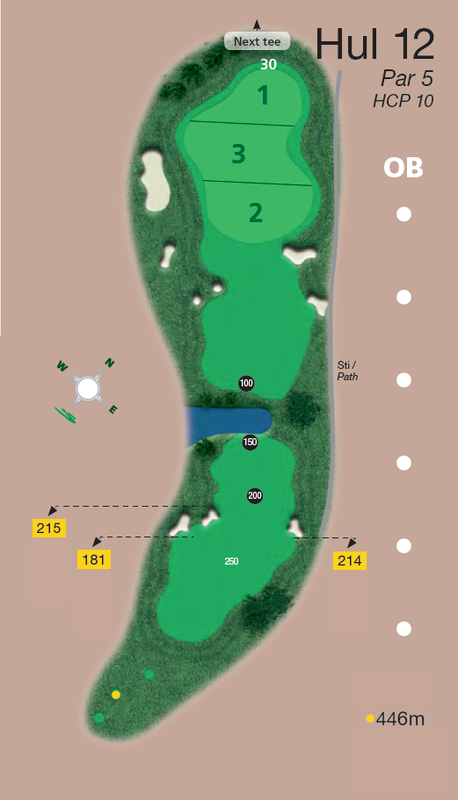 Exciting par 5 hole, favour the right hand side of the fairway as everything slopes from right to left. The furthest tree to the right of the hole is the ideal line for a layup shot, short of the stream, which runs diagonally across the fairway. 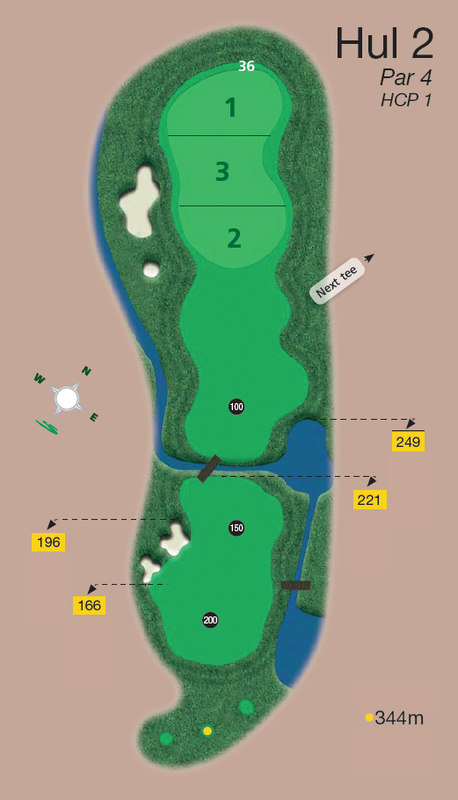 The Shipco Masters course is a composite course created by using holes from all 3 loops at Simon’s.